Mildly popular music-news outpost Slicing Up Eyeballs creaked back into action late this evening, promising to renew its stream of posts about ’80s college rock acts — old music for old people, as it were — and the like. Here’s our founder answering a series of frequently asked questions. This week’s Slicing Up Eyeballs Music Hour on Strangeways Radio featured brand-new music from Wire, Mudhoney and Billy Bragg, plus old favorites from The Smithereens, The Waterboys, Echo & The Bunnymen, Fred Schneider, The Specials, Husker Du, Bronski Beat, Rain Parade and more. Replay at 2 p.m. EST Friday. This week’s Slicing Up Eyeballs Music Hour featured brand-new music from Johny Marr, OMD, New Order, David Bowie, Nick Cave and the Bad Seeds, Thurston Moore’s Chelsea Light Moving and Camer Van Beethoven, plus old favorites from Aztec Camera, XTC, The Repalcements and more. This week’s Slicing Up Eyeballs Music Hour on Strangeways Radio featured music from The Only Ones, MIssion of Burma, The Jesus and Mary Chain, Monks of Doom, The Housemartins, Midge Ure, The Cure, Kate Bush, Steve Wynn and the Miracle Three and many more. Tonight’s Slicing Up Eyeballs Music Hour on Strangeways Radio featured new music by Pulp, The Dead Milkmen, Edwyn Collins, Pet Shop Boys and They Might Be Giants, plus favorites old and new from Bernard Sumner, The Smithereens, Pixies, The Smiths, Johnny Thunders, Aztec Camera and more. This week’s Slicing Up Eyeballs Music Hour featured some of the best new and reissued music from 2012, including tracks from Paul Weller, Bob Mould, The House of Love, David Newton and Thee Mighty Angels, Dinosaur Jr, Paul Westerberg, Killing Joke, Pet Shop Boys and more. This week’s Slicing Up Eyeballs Music Hour featured Christmas-themed music from the likes of The Smithereens, Ramones, The Primitives, Al Jourgensen, The Pretenders, R.E.M., Throwing Muses, Kate Bush, Pet Shop Boys, The Pogues, They Might Be Giants, The Fall and more. Tonight’s episode of the Slicing Up Eyeballs Music Hour featured music from Johnny Marr, Miracle Legion, The Replacements, Not Drowning Waving, Guadalcanal Diary, The Might Be Giants, Wild Swans, The Mission, The House of Love, Concrete Blonde, Wire and more. Replay at 2 p.m EST Friday. This week’s Slicing Up Eyeballs Music Hour featured brand-new music from Nick Cave & The Bad Seeds and The Ocean Blue, plus older faves from the likes of Hoodoo Gurus, Joy Division, X, The Cramps, Robyn Hitchcock & The Egyptians, Magazine, Wire Train and more. 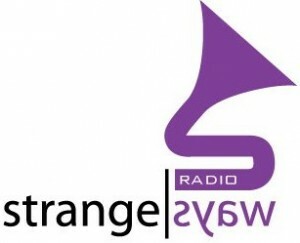 This week’s Slicing Up Eyeballs Music Hour on Strangeways Radio featured new music from Jane’s Addiction, Nitzer Ebb’s Douglas J. McCarthy and Wendy James of Transvision Vamp, plus old favorites from World Party, Oingo Boingo, Split Enz, Heaven 17, The Toy Dolls and The Cure. This week’s Slicing Up Eyeballs Music Hour on Strangeways Radio featured music from Johnny Marr, Felt, Paul Weller, Mission of Burma, The Mighty Lemon Drops, Echo & The Bunnymen, The Jesus and Mary Chain, OMD, Joe Strummer, Screaming Blue Messiahs and moer.